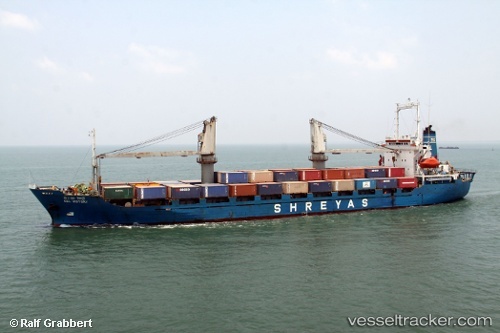 Seafreight Shipping Agencies was established in 2016 by Mr.Pinaki Sankar Ghosh and Mr.Debdeep Ghosh.The activities of the group include: NVOCC, Logistics, Freight Forwarding ,Shipping Agencies,Flexitank Services out of USA/S.E ASIA,Iso tank operations from middle east ,S.E Asia and South Africa to India,ODC and OOG Cargo movement to India. Headquartered in Kolkata,India with agents in USA,Africa, Saudi Arabia, Oman, Kuwait, Sri Lanka, Pakistan,China seafreight shipping agencies offers a strong network all over the world and provides a one stop solution for its customers. We encourage you to engage with SEAFREIGHT SHIPPING AGENCIES and look forward to being of service. With the aim to provide impetus to the ‘Make in India’ initiative and promote port-led industrialisation, the Ministry of Shipping organised a workshop on ‘Coastal Economic Zones’ under its Sagarmala Programme last week in New Delhi. The workshop focused on the 14 Coastal Economic Zones (CEZs) which have been identified under the National Perspective Plan of Sagarmala. The workshop apprised the participants that these CEZs will be aligned to relevant ports in the maritime states and will house Coastal Economic Units for setting up manufacturing facilities. The CEZs have been conceptualised as a spatial-economic region which could extend along 300-500 km of coastline and around 200-300 km inland from the coastline. Each CEZ will be an agglomeration of coastal districts within a state. Leveraging the port ecosystem, these CEZs will provide the geographical boundary within which port-led industrialisation will be developed. The CEZs have been envisaged to tap synergies with the planned industrial corridors like Vizag Chennai Industrial Corridor and Delhi Mumbai Industrial Corridor, said a release. Said Mr Rajive Kumar, Secretary, Ministry of Shipping, on the occasion: "Sagarmala is a holistic and integrated programme that will transform the way the logistics are handled in the country." He added that despite the tough global economic situation, developing the manufacturing sector can boost growth rates and harness India’s demographic dividend. "There is immense scope for logistics cost reduction under Sagarmala and CEZ is an effort to reduce cost by locating the manufacturing centres closer to the ports, thereby making Indian trade competitive in the global market," he stressed. Calling for active participation from the states, Dr Alok Srivastava, Additional Secretary, said, "The Sagarmala Programme has been conceptualised by the Centre, however, active participation from the states is highly essential to make this a success." "Sagarmala is an intricate programme which has the potential to drive socio-economic development in the country in a holistic manner," he added. The workshop was attended by representatives from various Central Ministries, state governments, autonomous bodies and the private sector and was well received by the participants. Valuable suggestions were made by the participants during the interaction. The CEZ perspective plans will be finalised by incorporating the inputs from the various maritime state governments. Detailed Master Plans will be prepared by the Sagarmala Development Company and more projects will be identified, the release pointed out. Setting up of the Sagarmala Development Company was recently approved by the Cabinet.